You can have the cake and eat it too! The Automated Manual Transmissions (AMT) boxes have just started a revolution in the Indian Automobile Scenario. The traditional auto gearboxes were expensive to manufacture and also offered significantly lesser mileage figures than the manual geared counterpart and obviously never got a foothold in the Indian car market. With the introduction of AMTs, these two negative factors are addressed. The AMTs are slowly but steadily gaining traction in India. Here we pit two of the AMT offerings in the compact sedans in the Indian car market, the massively popular Maruti Suzuki Swift AGS and the first AMT in the segment, the Tata Zest AMT.  What makes these cars important is that they have a sweet deal to offer for the buyer. The economy of a diesel and the convenience of an Auto transmission. Before straight away jumping into the shootout let us see how the AMT differs from the conventional automatics. The AMT basically uses the very same gear box and mechanicals of the manual gear box. The only difference is the clutch and gear change actions are done by the brain power of the ECU and using the engine power. With the basics in place, let us get into the shootout. There is absolutely no difference in the exterior styling of both the cars compared to their manual geared siblings. The AGS badge on the Swift and XMA/XTA badge of the Zest at the rear are the only visual indications. Tata Zest, surprisingly has a very well laid out and quality interiors which exude a premium feel. The Tata’s have improved leaps and bounds in the interior quality with the Tata Zest. Maruti Suzuki Swift Dzire also has a dual tone and spacious interiors and the quality of the plastics are good. Also, the XTA variant of Tata offers a far better touch screen infotainment system developed by Harman with friendly controls and interface. 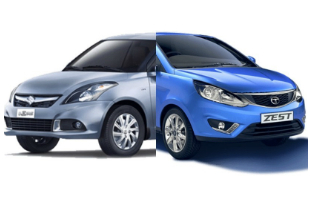 When it comes to the features and occupants comfort, Tata has a distinct advantage over the Swift Dzire. Both the cars are powered by the same Fiat designed Multijet Diesel Engine, however, both differs in their power outputs considering the different type of turbos doing duties under the hood. The Tata unit churns out a higher 90 bhp and 200 Nm torque, whereas the Maruti generates lesser 75 bhp and 190 Nm torque. Both the cars come equipped with the AMT gear box sourced from the same manufacturer, the Italian firm Magneti Marelli. However, surprisingly it is the lesser powered Dzire which responds enthusiastically of the two. More importantly, the Swift Dzire starts crawling right from when you put the car in D and take your leg off the brake pedal. Whereas, the Tata Zest don’t even move an inch without dabbing the accelerator. This can be an issue till you get used to it and a challenge when you need to stop and take midway during an ascent, as the car rolls back without accelerator input. The Swift AGS has the smoother shifts of the two and it shifts gears at a healthy 2200 rpm, dispensing ample power in each gear and decent fuel efficiency. This makes the Swift Dzire a pleasure to drive in the city and you enjoy the turbo kick (activates in the 1400-1600 rpm) in each gear. Coming to the Tata Zest, the shifts are not smooth compared to the one we experienced on the Swift and there is a lot more jerk compared to the Swift. And more importantly in the City mode (Zest has two driving modes- the City and the Sport) the car shift as early as 1100 rpm whereas the power starts generating after the 1500 rpm, making it a little difficult to drive in the city. However, Tata Zest has a sports mode which enables the car to hold the gears till 3200 rpm which changes the character of the car, making it lot more fun and involving to drive. The Dzire breaches the ton mark in 13.8 seconds whereas the Tata Zest took 15.78 seconds to the go over the 100 kmph mark from a standstill. The Swift Dzire is agiler when it comes to the handling department, whereas the Tata Zest scores better in the straight line stability. The agility of the Swift can be attributed to the comparatively stiff sprung suspension making the ride lot harsher compared to the soft ride of the Tata Zest. Tata Zest scores well ahead in terms of ride comfort and rides over bad roads. Maruti offers Dzire AGS in only one variant the ZDi. The car is priced at Rs 8.58 Lakhs (ex-showroom Delhi). Tata has two variants to offer, the lesser-specced XMA variant priced at Rs 7.70 Lakhs and higher spec XTA priced at Rs 8.50 Lakhs, both ex-showroom Delhi. Maruti offers a standard 2 year, 40000 Kms warranty for the Swift Dzire AGS. Tata offers 3 years 100000 Kms warranty for the Zest. This was a tough war fought between the Suzuki and the Tata, both the cars excelling in various aspects. And all the more it was difficult to pick up a clear winner here. If you are looking for an automatic driver’s car, with eye shut pick up the Dzire AGS. The car offers better shift characteristics, better engine response albeit less powered than the Zest and better handling on the twisties. However, if you are more inclined towards comfort, equipment and ride comfort Zest suits you the best. Having said, both the manufacturers have done a fantastic job in shoe-horning the AMT box to these compact diesel sedans. Yes, have your cake and eat it too.